Gear for You – Products for you. Hats – Shop Ugly Dog Hunting for a wide variety of hunting hats and hunting caps for sale online. Featuring hunting hats from popular brands such as Stormy Kromer. Ugly Dog’s hunting hat inventory includes both men’s hunting hats and women’s hunting hats in a variety of styles and color such as orange hunting hats and camo hunting hats. Ugly Dog’s hunting supply department is your one-stop-shop for hunting hats and caps online! If we don't have something you are looking for or have questions please contact us so we can help. Gear for your Dog – Products for your faithful partner. Kennel & Crate Accessories – Shop Ugly Dog Hunting for a wide variety of dog kennel accessories online. Featuring kennel accessories such as cooling fans, water troughs, cushions and more. Shop hunting dog kennel accessories from top brands such as Mud River, Rivers West, Air Force and more. Ugly Dog is your one stop shop for hunting gear for you, your dog and the hunt! Beds – Shop Ugly Dog Hunting for a wide variety of dog beds online. Featuring beds for dogs of all shapes and sizes. Shop hunting dog beds from top brands such as Mud River and more. Ugly Dog is your one stop shop for hunting gear for you, your dog and the hunt! Stakes – Shop Ugly Dog Hunting for a wide variety of dog stakes online. Featuring stakes and stake chain gangs. Shop hunting dog stakes from top brands. Ugly Dog is your one stop shop for hunting gear for you, your dog and the hunt! Gear for the Hunt – Products & Equipment for your activities. Avery – Shop Ugly Dog Hunting for a wide variety of Avery hunting apparel and accessories. Shop a variety of Avery apparel such as neck gaiters and hunter gloves. Along with apparel, Ugly Dog Hunting carries a variety of Avery accessories such as hexabumpers, dog food bags, gun cases, bumper bags, trainers bags and more. Ugly Dog’s hunting supply department is your one-stop-shop for Avery hunting apparel and accessories! Bob Allen – Bob Allen Shooting Shirts & Gloves Shop Ugly Dog Hunting for a wide variety of Bob Allen shooting shirts and gloves. Shop a variety of Bob Allen apparel such as men’s shooting gloves, women’s shooting gloves, men’s upland shirts, women’s upland shirts and more. Ugly Dog’s hunting supply department is your one-stop-shop for Bob Allen shooting shirts and shooting gloves! Boyt Harness Company – Boyt Gun Cases & Shooting Vests Shop Ugly Dog Hunting for a wide variety of Boyt gun cases and shooting vests. Shop a variety of Boyt apparel such as waxed cotton hunting vests, mesh hunting vests, shooting jackets and shooting vests. Along with apparel, Ugly Dog Hunting carries Boyt gun cases such as shotgun cases. Ugly Dog’s hunting supply department is your one-stop-shop for Boyt gun cases and shooting vests! Browning – Shop Ugly Dog Hunting for a wide variety of Browning hunting apparel and accessories. Shop a variety of Browning apparel such as upland jackets, strap vests, upland vests and boots. Along with apparel, Ugly Dog Hunting carries a variety of Browning accessories such as cleaning kits, flashlights and more. Ugly Dog’s hunting supply department is your one-stop-shop for Browning hunting apparel and accessories! Columbia – Columbia Hunting Clothes & Sportswear Shop Ugly Dog Hunting for a wide variety of Columbia hunting clothes and sportswear. Shop a variety of Columbia apparel such as Ptarmigan Briar shirts and Ptarmigan Briar pants. Ugly Dog’s hunting supply department is your one-stop-shop for Columbia hunting clothes and sportswear! Dakota – Shop Ugly Dog Hunting for a wide variety of Dakota kennels and vault systems. Shop a variety of Dakota dog kennels such as the Dakota Kennebec Kennel and the Dakota Badlands Vault. Ugly Dog’s hunting supply department is your one-stop-shop for Dakota kennels and vault systems! Dogtra – Shop Ugly Dog Hunting for a wide variety of Dogtra training collars. Shop a variety of Dogtra collars such as the Dogtra 2500 T&B and the Dogtra 2502 T&B. Ugly Dog’s hunting supply department is your one-stop-shop for Dogtra training collars! Lovett’s – Shop Ugly Dog Hunting for a wide variety of Lovett’s Electronics beepers. Shop a variety Lovett’s beepers such as the Lovett’s VLT Beeper and the Lovett’s Low Tone Beeper. Ugly Dog’s hunting supply department is your one-stop-shop for Lovett’s Electronics beepers! Mendota – Shop Ugly Dog Hunting for a wide variety of Mendota leashes and collars. Shop a variety of Mendota products such as biothane safety collars, duro-soft collars, leads, cords and more. Ugly Dog’s hunting supply department is your one-stop-shop for Mendota leashes and collars! Irish Setter – Shop Ugly Dog Hunting for a wide variety of Irish Setter hunting boots. Shop a variety of Irish Setter boots such as men’s Wingshooter boots and women’s Vaprtrek boots. Ugly Dog’s hunting supply department is your one-stop-shop for Irish Setter hunting boots! Mud River – Shop Ugly Dog Hunting for a wide variety of Mud River dog products and accessories. Shop a variety of Mud River products such as crate cushions, car utility mats and kennel covers. Along with dog products, Ugly Dog Hunting carries a variety of Mud River accessories such as gun sleeves, handler bags and more. Ugly Dog’s hunting supply department is your one-stop-shop for Mud River dog products and accessories! Pointer Brand – Pointer Jeans & Denim Shop Ugly Dog Hunting for a wide variety of Pointer jeans & denim. Shop a variety of Pointer Brand jeans such as men’s brush jeans and women’s brush jeans. Ugly Dog’s hunting supply department is your one-stop-shop for Pointer jeans & denim! Rivers West – Shop Ugly Dog Hunting for a wide variety of Rivers West clothing and accessories. Shop a variety of Rivers West clothing such as men’s jackets, women’s jackets, pullovers and hats. Along with clothing, Ugly Dog Hunting carries a variety of Rivers West dog hunting accessories such as dog vests and more. Ugly Dog’s hunting supply department is your one-stop-shop for Rivers West hunting clothing and accessories! Ruff-Tough – Shop Ugly Dog Hunting for a wide variety of Ruff-Tough kennels. Shop a variety of Ruff-Tough kennels such as the Ruff-Tough Intermediate Kennel. Ugly Dog’s hunting supply department is your one-stop-shop for Ruff-Tough kennels! 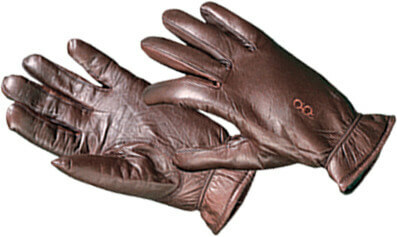 Serius – Serius Gloves Shop Ugly Dog Hunting for a wide variety of men’s and women’s Serius gloves. Shop a variety of Serius gloves such as men’s hyperlite gloves, women’s hyperlite gloves, men’s all-weather gloves, women’s all-weather gloves and the xreme all-weather gauntlet. Ugly Dog’s hunting supply department is your one-stop-shop for Serius gloves gun! SportDOG – Shop Ugly Dog Hunting for a wide variety of SportDOG training collars and accessories. Shop a variety of SportDOG training collars such as the SportDOG 425, SportDOG 1825, SportDOG 1875 and more. Along with training collars, Ugly Dog Hunting carries a variety of SportDOG accessories such as locator beacons, remote launchers and additional receiver collars. Ugly Dog’s hunting supply department is your one-stop-shop for SportDOG training collars and accessories! Stormy Kromer – Shop Ugly Dog Hunting for a wide variety of Stormy Kromer hats and caps. Shop a variety of Stormy Kromer hats and caps such as the Stormy Kromer original cap and the Stormy Kromer waxed cotton cap. Ugly Dog’s hunting supply department is your one-stop-shop for Stormy Kromer hats & caps! Tri-Tronics – Shop Ugly Dog Hunting for a wide variety of Tri-Tronics dog collars and accessories. Shop a variety of Tri-Tronics collars such as the Garmin Tri-Tronics Pro 70 and the Garmin Tri-Tronics Sport Pro . Along with training collars, Ugly Dog Hunting carries a variety of Tri-Tronics accessories such as the Tri-Tronics G2 Holster and the Tri-Tronics Flat Holster. Ugly Dog’s hunting supply department is your one-stop-shop for Tri-Tronics dog collars & accessories! Turtleskin – Shop Ugly Dog Hunting for a wide variety of Turtleskin hunting apparel. Shop a variety of Turtleskin apparel such as Turtleskin snake chaps and Turtleskin snake pants. Along with hunting apparel, Ugly Dog Hunting carries Turtleskin dog hunting apparel such as the Turtleskin snake armor dog vest. Ugly Dog’s hunting supply department is your one-stop-shop for Turtleskin hunting apparel for you and your dog! If we don’t have something you are looking for or have questions please contact us so we can help. Free Shipping in the U.S. on Orders Over $125 of Eligible Items! We want to reward you, our customers, with free ground shipping in the U.S. for orders over $125. Only a few items aren’t eligible — just about everything in our inventory qualifies. But hurry, this sweet deal may not last! Bob Allen women’s lined leather gloves for shooting and hunting have a smooth fit but enough flexibility for dexterity — trigger finger or e-collar button. Elastic wristband. Double-A grade leather. Five fingers on each hand. Lined have nylon / tricot / sponge insulation. Was $39. Make sure you and your UGLY DOG keep in touch. Be the first to know about new products, special offers and more. Make YOUR Ugly Dog a Media Star! Send us a picture of your magnificently hideous hunting dog. We’ll pick the ugliest (never an easy task) and feature him or her in our next catalog and on our website.